It's not always that you get a professional makeup artist select the perfect lipstick shade for you. And it's not everyday that for trying out a new lipstick you get a pouch and samples of eye serum, facial wash and mascara. But this seems to be the norm for Estee Lauder when they promote new products. So I got this facial wash sample in Hong Kong after they had a promotional event for a new lipstick. I was so surprised because they even gave everyone photobooth photos and there was even a promo of the day that if you bought two lipsticks there, they'd even give you a lipstick shaped USB flash drive for free! 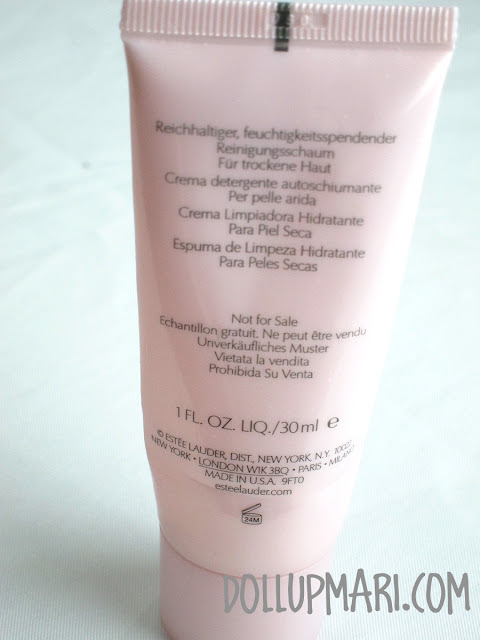 As is the title, this foaming wash is from Estee Lauder's Soft Clean line. 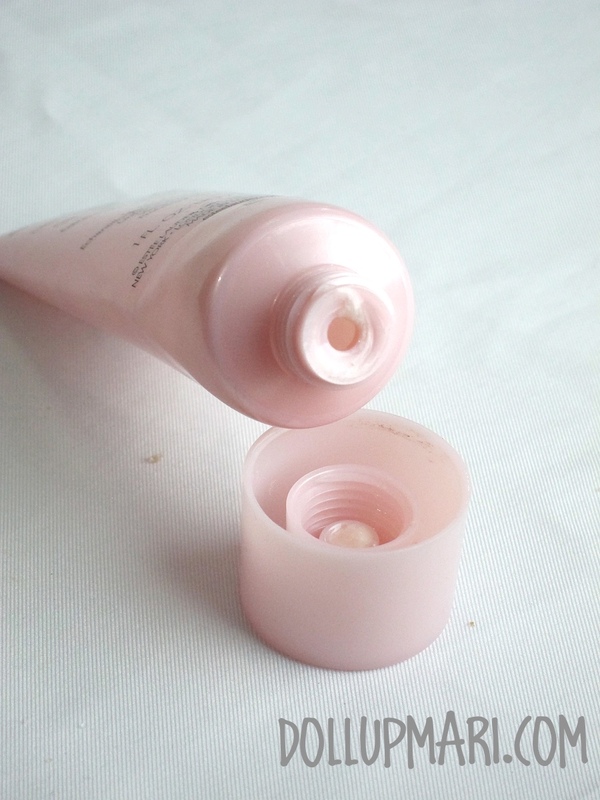 In the same line are hydrating lotion and creme cleansers as well. This is a 1 ounce sample of the foaming wash that usually comes in 4.2 ounce tubes. I have yet to sample the other products but I can definitely say that this wash is super fragrant. It's the perfect kind of wash to use in the morning because the smell is a perk-up due to how fresh and sweet it smells. 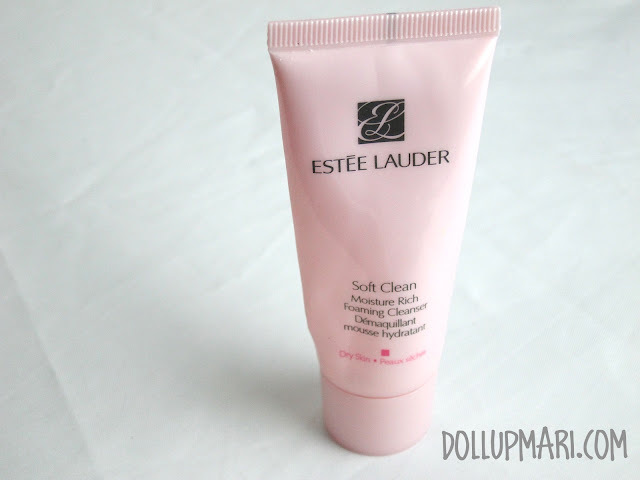 Estee Lauder Soft Clean Moisture Rich Foaming Cleanser for Dry Skin. Luxurious crème foams into a moisture-rich lather to gently clean, calm, and soften skin.